Tomorrow April 26 is a full day of school ! The online calendar reads that it is a half of day PIR. That Half of a day is for teachers in the evening for the school showcase. 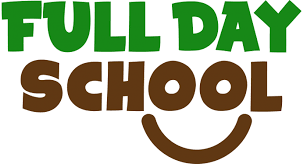 All students have a regular full day on Thursday April 26. Hope to see you at school and the showcase.